We are setup to do both manual sandblasting and shot blasting (or abrasive blasting). Blasting steel components is used to clean the surface and add texture. This is often done before finishes are applied to increase paint adhesion. Corten steel can be blasted to eliminate the need for painting. 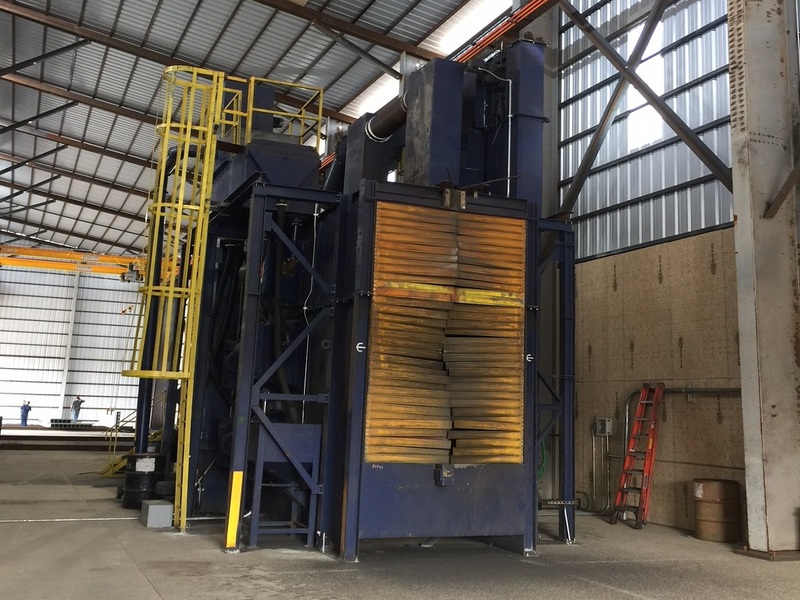 Our shot blasting machine can be used to efficiently and economically blast steel poles up to approximately 5′ in diameter and steel plate up to 10′ in width.